Who told the British people the truth about their post-Brexit future? Who spoke to them about losing access to the EU market? Who mentioned the risks to peace in Ireland of restoring the border? Freedom, protection and progress: We need to build European renewal on these pillars. Citizens of Europe (CLICK) if I am taking the liberty of addressing you directly, it is not only in the name of the history and values that unite us, but because time is of the essence. A few weeks from now the European elections will be decisive for the future of our continent. Never since the second world war has Europe been so essential. Yet never has Europe been in such danger. Brexit stands as the symbol of that. It symbolises the crisis of a Europe that has failed to respond to its peoples’ need for protection from the major shocks of the modern world. It also symbolises the European trap. The trap lies not in being part of the European Union; the trap is in the lie and the irresponsibility that can destroy it. Retreating into nationalism offers nothing; it is rejection without an alternative. And this is the trap that threatens the whole of Europe: the anger mongers, backed by fake news, promise anything and everything. We have to stand firm, proud and lucid, in the face of this manipulation and say first of all what Europe is. It is a historic success: the reconciliation of a devastated continent is an unprecedented project of peace, prosperity and freedom. Let’s never forget that. And this project continues to protect us today. What country can act on its own in the face of aggressive strategies by the major powers? Who can claim to be sovereign, on their own, in the face of the digital giants? How would we resist the crises of financial capitalism without the euro, which is a force for the entire EU? Europe is also those thousands of projects daily that have changed the face of our regions: the school refurbished, the road built, and the long-awaited arrival of high-speed internet access. This struggle is a daily commitment, because Europe, like peace, can never be taken for granted. 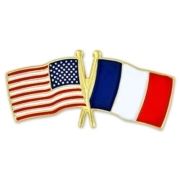 I pursue it tirelessly on behalf of France, in order to take Europe forward and to defend its model. 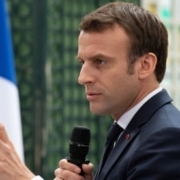 We have shown that things we were told were unattainable, the creation of a European defence capability and the protection of social rights, were in fact possible. Yet Europe is not just an economic market. It is a project. A market is useful, but it should not detract from the need for borders to protect … and values that unite. Nationalists are misguided when they claim to defend our identity by withdrawing from the EU, because it is European civilisation that unites, frees and protects us. But those who would change nothing are also misguided, because they deny the fear felt by our people, the doubts that undermine our democracies. We are at a pivotal moment for our continent, a moment when together we need to politically and culturally re-invent the shape of our civilisation in a changing world. Now is the time for a European renaissance. Hence, resisting the temptation of isolation and division, I propose we build this renewal together around three ambitions: freedom, protection and progress. The European model is based on freedom: of people, diversity of opinions and creation. Our first freedom is democratic freedom: the freedom to choose our leaders as foreign powers seek to influence our votes at every election. I propose the creation of a European Agency for the Protection of Democracies to provide each EU member state with European experts to protect their election process against cyber-attacks and manipulation. In this same spirit of independence, we should also ban the funding of European political parties by foreign powers. We should have European rules banishing incitement to hatred and violence from the internet, since respect for the individual is the bedrock of our civilisation and our dignity. Founded on internal reconciliation, the EU has forgotten the realities of the world. Yet no community can create a sense of belonging if it does not have protected territorial limits. The boundary is freedom in security. We therefore need to rethink the Schengen area: all those who want to be part of it should comply with obligations of responsibility (stringent border controls) and solidarity (a single asylum policy with common acceptance and refusal rules). We can’t let nationalists with no solutions exploit people’s anger. We can’t sleepwalk to a diminished Europe. We can’t remain in the routine of business as usual and wishful thinking. European humanism demands action. And everywhere, people are standing up to be part of that change. So by the end of the year, let’s set up, with representatives of the EU institutions and the member states, a Conference for Europe in order to propose all the changes our political project needs, which is open even to amending the EU treaties. This conference will need to engage with citizens’ panels, and hear from academics, business and worker representatives, as well as religious and spiritual leaders. It will define a roadmap for the EU that translates these key priorities into concrete actions. There will be disagreement, but is it better to have a static Europe or a Europe that advances, sometimes at different speeds, and that is open to all? In this Europe, the people will really take back control of their future. In this Europe, the UK, I am sure, will find its true place. The Brexit impasse is a lesson for us all. We need to escape this trap and make the forthcoming elections and our project meaningful. It is for you to decide whether Europe and the values of progress that it embodies are to be more than just a passing episode in history. This is the choice I put to you: that together we chart the road to European renewal. According to Strategy Analytics’ “Global Mobile Workforce Forecast”, the global mobile workforce is set to increase to 1.88 billion in 2023, accounting for 43.3% of the global workforce. 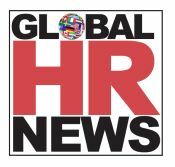 With a future comprising a mobile workforce on the horizon we draw focus to the highly-anticipated workforce mobility trends HR leaders based in Singapore and Malaysia foresee for the year ahead. According to Selvi Murugiah, HR Director Asia Pacific, Veolia Water (Malaysia) Holding, as the world shrinks and borders disappear – with international businesses and multinationals mushrooming around the globe – mobility has become a norm for any business. In fact, she believes mobility even takes on a bigger scope than HR or talent. She said: “Mobility is also about mobilising funds, technology, expertise, mindset, culture and all relevant and related needs that will take centre stage. This is unavoidable and if not handled with care or well-thought, it can be a disaster! When it comes to managing your rotator assignees, there’s a number of issues you’ll want to prepare for before sending any employees away. Shifting demographics, security issues, talent shortages, and compliance complications are just a few of the challenges that global businesses have to address when managing rotator assignees, all of which should be looked at carefully and thoughtfully. Put simply, rotators are employees who work in remote offshore or onshore locations for extended periods of time, whether that be days, weeks, or even months. As a result, rotators will typically shift between prolonged periods of activity (work) in a remote location and prolonged periods of non-activity (rest) in their location of residence, typically on a fixed or predefined schedule. So, now that we’ve defined what constitutes a rotator assignment, let’s explore some of the key trends, challenges, and other findings that were uncovered in the 2018 edition of Mercer’s Rotator Assignments Survey. Rotator assignments are most heavily used within industries like energy, mining, and similar sectors. This is corroborated by the fact that more than 70% of participants in the Rotator Assignments Survey said they use rotator assignments because of the nature of the work to be performed – and more than a quarter identified the location’s hardship or remoteness as the primary reason for using rotational assignments. Most companies in the Rotator Assignments Survey – close to 90% – reported that they currently have onshore rotators. 70% of respondents reported having offshore rotators, and close to 60% reported having both onshore and offshore rotators. Looking ahead, the number of onshore and offshore rotators are expected to remain relatively stable, but more participants said they expect their number of offshore rotators to increase. With regards to the typical duration of their rotator assignments, there was quite a bit of variation in the respondents’ answers. The actual day-to-day work schedules of rotators can vary widely according to any number of criteria, but the most typical rotational work schedule (irrespective of the type of rotators or any other factors) was found to be 28 days on, followed by 28 days off. Work days are formally tracked through payroll or time-reporting systems by a majority of respondents. Another critical question you might be wondering is, “What is the nature of their employment relationship?” As it turns out, the number of respondents who said they employ both contractors and company employees for their rotational assignments was similar to the number of those saying that all rotators are in-house employees. However, the survey results show that respondents expect greater increase in the number of contractors. As you can well imagine, rotator assignments come with their own unique challenges that need to be addressed within the proper framework. It’s no surprise then that more than two-thirds of survey participants said they have a specific, formal policy in place for managing rotational assignments, which is significantly more than, say, commuters (another group of mobile employees, albeit one which far fewer organizations have formal policies in place for). This was followed by talent attraction and talent retention, compliance, and governance/program administration. 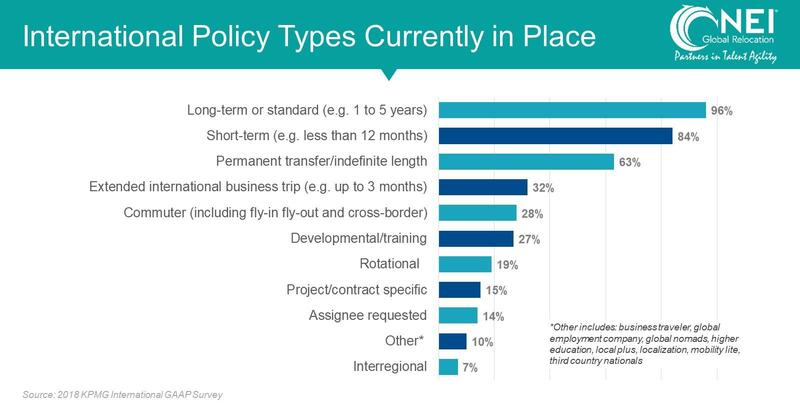 This apparent conflict between the need to contain costs on one hand and yet have a competitive talent attraction and retention proposition for rotators probably explains why close to three-quarters of the survey respondents recognized the need to review their international policy. Almost 70% of companies in the survey selected the limited supply of suitable candidates to work in remote/hardship locations, making it the biggest challenge to talent attraction for rotational assignments. Difficult working conditions were indicated as a challenge by more than 60% of participants. The family-split issue was reported as another significant challenge, which makes sense. After all, living in remote locations for prolonged periods of time doesn’t make it easy for employees with families. This would also explain why half of the survey participants reported that rotators are never actually accompanied by their families, whereas more than one-third of respondents said they don’t even support accompanied rotational assignments to begin with. 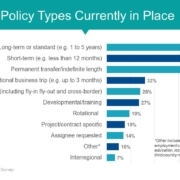 In line with the aforementioned rotator talent attraction and retention challenges, close to three-quarters of participants said they recognized the need to review their international assignment policy to ensure they have a competitive proposition for a rotating staff in the upcoming years. Meanwhile, half of participants said they are actively looking to move away from employing expensive Western expats and trying to employ lower-cost local resources from other regions, while an almost equal proportion is reviewing their international rotator policy in an attempt to lower costs. READY TO UNLOCK THE FULL POTENTIAL OF YOUR GLOBAL WORKFORCE? The 2018 edition of Mercer’s Rotator Assignments Survey can help you unlock the full potential of your rotator program. The perfect aid for any global workforce manager, this comprehensive survey expounds on the insights featured in this piece, plus a myriad more – including the most competitive compensation and benefits practices, taxation management approaches, and various other data points that are essential to running an effective rotational assignment. In South America, Montevideo (78) again ranked the highest for quality of living, whilst continued instability saw Caracas (202) fall another nine places this year for quality of living and 48 places for safety to 222ndplace, making it the least safe city in the Americas. The quality of living remained broadly unchanged from last year in other key cities, including Buenos Aires (91), Santiago (93) and Rio de Janeiro (118). In Asia, Singapore (25) has the highest quality of living, followed by the five Japanese cities of Tokyo (49), Kobe (49), Yokohama (55), Osaka (58), and Nagoya (62), and then Hong Kong (71) and Seoul (77), which rose two places this year as political stability returned following the arrest of its president last year. In South East Asia, other notable cities include Kuala Lumpur (85), Bangkok (133), Manila (137), and Jakarta (142); and in mainland China: Shanghai (103), Beijing (120), Guangzhou (122) and Shenzhen (132). Of all the cities in East and South East Asia, Singapore (30) ranked the highest in Asia and Phnom Penh (199) the lowest, for personal safety. Safety continues to be an issue in the central Asian cities of Almaty (181), Tashkent (201), Ashgabat (206), Dushanbe (209) and Bishkek (211). Political and social environment(political stability, crime, law enforcement, etc.). Economic environment(currency exchange regulations, banking services). Socio-cultural environment(media availability and censorship, limitations on personal freedom). Medical and health considerations(medical supplies and services, infectious diseases, sewage, waste disposal, air pollution). Schools and education(standards and availability of international schools). Recreation(restaurants, theatres, cinemas, sports and leisure). Consumer goods(availability of food/daily consumption items, cars). Housing(rental housing, household appliances, furniture, maintenance services). Natural environment(climate, record of natural disasters). 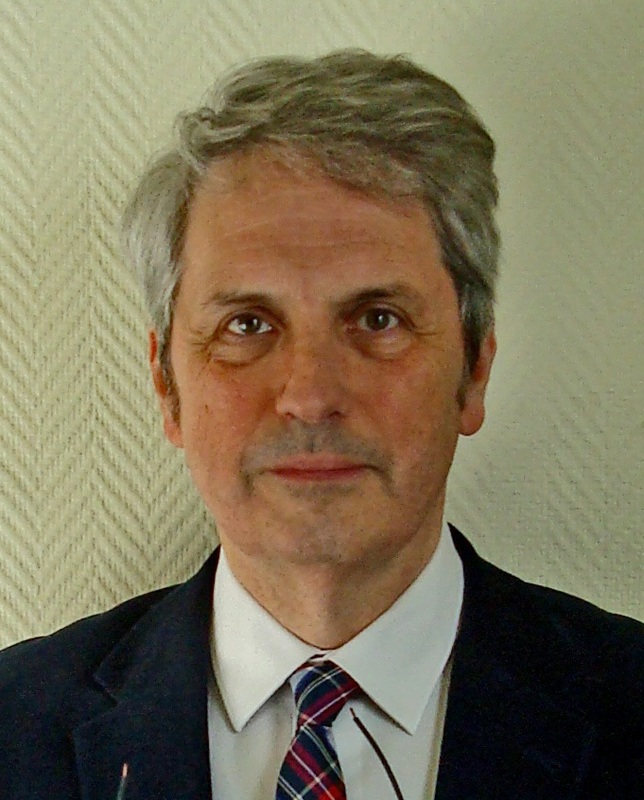 At the time this article is published at the beginning of March 2019, the United Kingdom is legally set to leave the European Union without a deal on 29 March 2019, unless a breakthrough on the current political impasse can be achieved. Such a breakthrough would either result in a version of the current proposed deal being ratified by UK and EU parliaments, or an extension to the Article 50 agreement to be agreed by both parties. Preparations for all scenarios are being made in the UK and EU at a government, industry, and organization level, and individuals directly impacted by this situation (i.e. UK nationals living and / or working in the EU, or EU nationals living and / or working in the UK) are seeking legal clarification on their residence and right to work status. While many have taken a ‘watch and wait’ approach to this issue from a Mobility perspective until recently on the expectation that a deal would be passed to allow further time to plan for future changes, most are now taking steps to be prepared should a ‘no deal’ Brexit on 29 March 2019 come to pass. While the majority of impacted jurisdictions have confirmed that those already in country on 29 March 2019 will have their rights protected and be granted leave to remain regardless of whether a formal deal is reached, the rules and mechanisms for achieving this status vary from state to state, and much of the detail is yet to be clarified. Flag any assignments into the UK or EU with start dates post-29 March, which had until this point relied upon EU freedom of movement rules for the right to work and reside in the host location (including assignments from third countries where the employee or their accompanying family members may be EU or UK nationals). Manage expectations with the business and employee, and consider bringing start dates forward if practical to do so. The UK’s Settlement Scheme to register EU nationals in the UK for settled status after Brexit is already open in pilot phase and launches in full on 30 March 2019. EU member states are also now implementing their plans to settle UK nationals in the EU. Business immigration specialists Newland Chase have covered many of the latest updates in their new white paper BREXIT: Current Status for EU and UK Nationals in the Event of Either an Orderly or Disorderly Brexit and live webinar Remaining in the UK after Brexit: Essential Settlement Guidance for EU Nationals on 11 March. As with the immigration situation outlined above, if the EU and the UK agree the proposed Withdrawal Agreement, current UK / EU social security arrangements will continue on an ‘as is’ basis, and employers will be able to continue to obtain A1 certificates during the transition period, expected to last until 31 December 2020. Should the UK leave the EU on 29 March 2019 without a deal however, the UK would no longer be party to existing EU social security regulations, effective immediately. In that case, existing bilateral Social Security Agreements between the UK and certain EEA countries may came back into force, however these agreements are generally limited in scope, are by definition outdated, and do not exist with all of the current EU member states. Compliance: Accurate and timely reporting of company sourced income is already a challenging part of mobility administration and compliance, and any changes to the status quo will result in further complexity and levels of activity, particularly regarding payroll. Audit your current assignee and cross-border worker population to identify those who would be no longer eligible for an A1 certificate from 29 March in the event of a no deal. Identify any assignments between the UK and EU with start dates after 29 March. 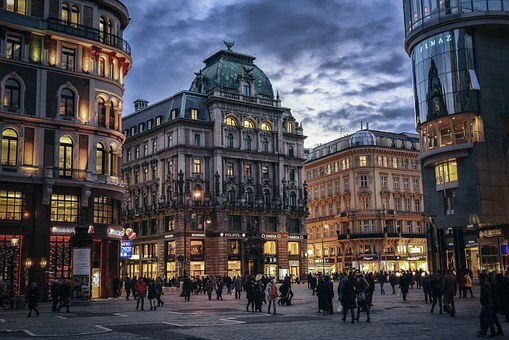 While we cannot predict the impact of either a deal or no deal on currency markets towards the end of March this year, there are well-established protocols for addressing currency volatility and inflation fluctuations depending on policy type, the use of home or host compensation models, the ability to deliver split payroll, and company policy and processes. Identify the assignee population eligible for any currency protection or interim cost of living review after 29 March. Contact Mercerfor guidance if needs be. Any practical interventions required to mitigate the impact of a ‘no deal’ Brexit – should it come to pass – will create disruption in the short to medium term, but as mobility professionals we are experienced at dealing with such matters. Engage with business leaders to understand future company strategy with regard to the opening or scaling up of operations in new or smaller locations. The earlier Mobility can be brought into the conversation, the more effective your planning for such cross-border talent deployments can be.